If you’re unfamiliar with psychoactive drugs, it may be surprising that you probably use them. For example, do you enjoy a cup of coffee in the morning? Have you had an alcoholic beverage before? Interestingly enough, both caffeine and alcohol fall under this category of drugs. While your daily dose of coffee or weekend glass of wine is typically harmless, other drugs in this class cause further negative effects. Overall, psychoactive drugs, or psychotropic substances, contain four groups. These include stimulants, depressants, opioids, and hallucinogens. 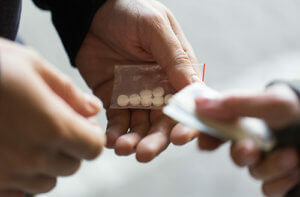 Stimulants are substances like ecstasy and nicotine, while depressants include alcohol and sleeping pills. Opioids are drugs such as pain medication and heroin. You’ve probably heard of LSD as well, which falls under the hallucinogens category. Additionally, pain medication, when taken correctly, can be innocuous, just like sleeping pills. However, substances like LSD and heroin are more harmful. Psychoactive drugs affect the body’s central nervous system. With the ability to change the brain’s functionality, they quickly alter mood, perception, and consciousness. Moreover, many consider moderately drinking coffee or alcohol recreational use. While doing so, you’ll undergo mood changes. Typically, you feel better, more alert, or relaxed. Likewise, a prescription pain medication can alter your perception of pain so you don’t feel discomfort. Consequently, some of the drugs that fall under this category are habit-forming. Particularly, these include stimulants like cocaine and depressants like alcohol. Unfortunately, becoming chemically dependent on a substance could potentially lead to addiction. Because some psychoactive substances occur naturally, such as mushrooms or marijuana, many people think they’re less harmful than manufactured drugs. However, marijuana addiction does occur, and using mushrooms causes negative side effects. If your doctor prescribes you pain medication, it’s important to take it correctly and discontinue use when they recommend it. Although alcohol is a legal substance, abusing it leads to serious physical and mental consequences. Likewise, cigarettes are legal to buy and use, but smoking causes cancer. Just because you have a legal drug prescription doesn’t mean these substances are harmless. No matter what addiction you’re facing, 1st Step Behavioral Health can help. Our caring staff provides the supportive treatment necessary for reaching lasting recovery. We understand the addiction struggle is unique to you. Therefore, we’ll develop a custom plan that addresses your specific needs. Additionally, our holistic services include massage therapy and treatment at our wellness center. We’ll also assign you a primary care therapist. With experience in dual diagnosis treatment, we effectively address anxiety, depression, and PTSD. With the right treatment, you’ll maintain sobriety for a lifetime. Not to mention, we’ll partner with you and your loved ones to help you get better. Our talk and family therapy uncover the root problems that led to addiction and heal the entire family unit. Don’t allow addiction to control your life any longer. With the right treatment from a quality drug rehab facility like 1st Step Behavioral Health, in Pompano Beach, Florida you can overcome your drug or alcohol addiction. To get started on the path to recovery, take the courageous first step and contact us today at 866-319-6126. Since you’ve discovered what psychoactive drugs are and how can they affect your brain’s functionality, consciousness, and mood, you must know how different people respond to them. Knowing that will help you evaluate the effects of psychoactive drugs that you’re taking in different forms. To reiterate psychoactive drugs are strong enough to alter the brain functions and the way an individual feels, perceives or understands the world around him or her. There is no doubt that some types of psychoactive drugs are ubiquitous, such as sedatives, opiods, cannabis, hallucinogens and tobacco. The list includes both; ones that come with psychoactive effects naturally and once that are synthesized in the laboratory. Regardless of how they are manufactured or grown, these psychoactive drugs have a strong impact on your brain receptors. That is what makes considering different aspects, such as age, method of administration, setting and purity, highly important before taking them. This might sound surprising for some people, but most patients who come to 1stStep Behavioral Health Center for treatment are young teenagers. Not only they are young, but are also highly susceptible to biological and neurological changes in their body and brain. A number of people don’t know that the effects of psychoactive drugs are stronger and more intense in people who are in their early teens. Teens that start taking drugs in any form are more likely to develop biological susceptibility to psychoactive drugs. Even an aging brain is also considered vulnerable to various psychoactive drugs, even if a small amount is taken. So, care is important. Setting refers to unique neurological, biological, experiential and psychological qualities of an abuser. Set basically creates a selective responsivity and personal vulnerability to substances. In other words, your genetic makeup or neurochemistry and body physiology significantly influences the effects of psychoactive drugs. For example, the same quantity of a psychoactive drug may cause a magnitude of difference in impact if two individuals of different ages take it at the same time. This is the main reason some people feel more hyperactive due to their brains ‘hypo-reactivity’ to specific chemical agents. Another important thing that is vital to consider is the way an abuser administers a psychoactive drug. It is basically about how fast a psychoactive substance gets to your neurons with its chemical configuration. Whether you agree or not, the absorption speed of a drug can make a huge difference. The less time it takes the more the addiction risk. According to medical professionals, taking drugs intravenously or through a syringe is the fastest way to experience their effects. Similarly, inhalation is another quick way to administer psychoactive drugs. That is why tobacco or cigarettes are addictives, which making it harder for a person to quit once they get used to it. For example, if cocaine is smoked, it is more habit forming.